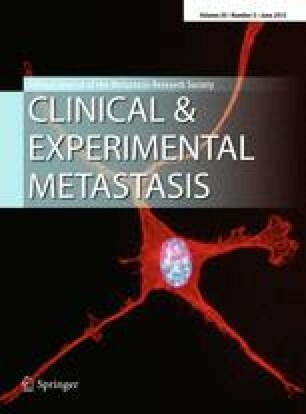 The effect of in vitro pretreatment of B16 murine melanoma cells with various cancer chemotherapeutic agents on their subsequent experimental metastatic capacity has been examined. Methotrexate, cytosine arabinoside, 5-azacytidine and aphidicolin all produced significant increases in the number of lung nodules formed following the i.v. injection of tumour cells. This effect was not seen with melphalan or 5-fluorouracil. Since the doses of melphalan and 5-fluorouracil used produced similar levels of cell kill to cytosine arabinoside and aphidicolin it appears that a cytotoxic effect was not sufficient to produce increased lung nodule formation. Analysis of the perturbations in the cell cycle induced by the drugs did not reveal any consistent differences between those drugs which enhanced experimental metastasis and those which did not. The precise mechanisms underlying this phenomenon remain to be elucidated but the results are consistent with the possibility that anticancer agents may play a role in assisting tumour progression.